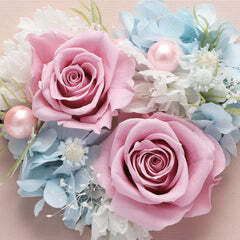 In love, Pisces are known to be hopeless romantics and loyal to the core. 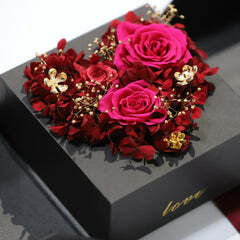 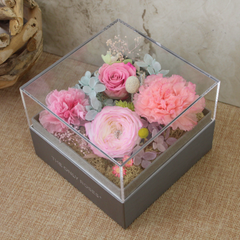 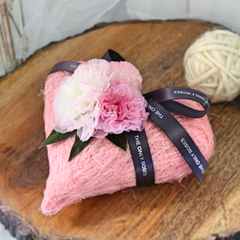 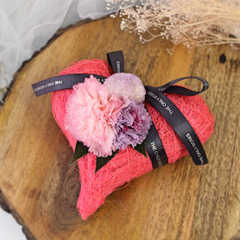 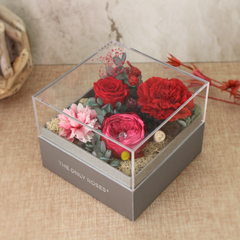 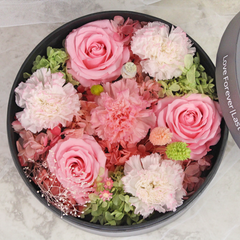 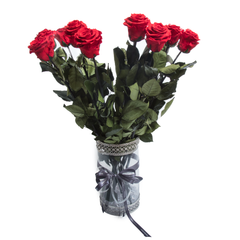 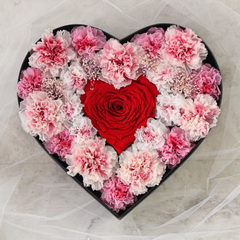 Indulge your sweetie’s romantic sensibility with this stunning gift box containing a single, enormous rose bud. 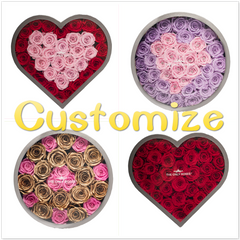 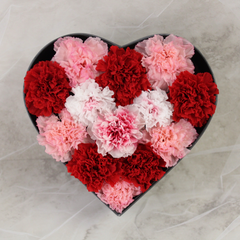 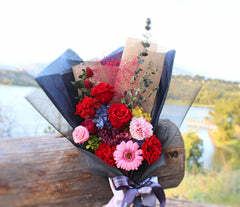 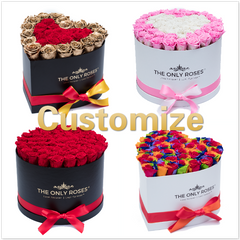 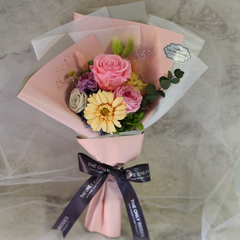 Each flower has been carefully arranged so that the petals are fully opened and on display. 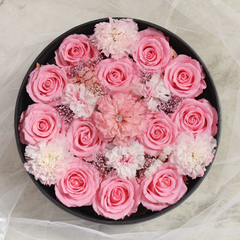 The arrangement is set against a black background to mimic a “night sky” with a sparkling constellation of the Libra sign done in faux diamonds.